For a long time now, Starbucks has been known as a third place with its goal to provide all the comforts of home and office while enjoying a cup of coffee with friends and colleagues. The convergence of data, device and design, as well as advances in telematics, sensor technologies, in-vehicle infotainment and the cloud, will continue to shape the future of cars, making them ready to adopt more end-to-end technology solutions to provide newer ways to connect the home, office and casual driving experiences. Let’s dig deeper into what is driving this momentum. Mechanical excellence is no longer the battleground for automakers. To create meaningful innovations and capture consumers’ interest in digital lifestyle, automakers must strive to understand users and care about their lives.It is all about building less of a machine and more of a car as a companion. This evolution will require a collaboration between those who understand and advocate for the user and those who strategize and integrate the technology. Together, they will create cars of the future. Cars are increasingly becoming data powerhouses as they become ever more connected and empowered by smart, IoT technology.The richness of insights is unlocking a digital gold rush around the connected car, transforming vehicles to be as unique as the people in them. The ability to carry out predictive, machine-learning driven analytics across datasets is creating huge potential for innovation. Putting this data in the driver’s seat of the connected car will enhance the comfort and convenience of commuters. The automobile industry is a part of the same revolution that fuels our desire to stay connected — anywhere, anytime. Connectivity is no longer an option, it is a key feature in turning your car into a customized extension of yourself.Be it Vehicle-to-Vehicle (V2V), Vehicle-to-Infrastructure (V2I) or even Vehicles-to-Phones, the Vehicle-to-Everything (V2X) technology incorporates connectivity into, well, everything. We no longer have “car companies” — these businesses are increasingly turning into software giants. 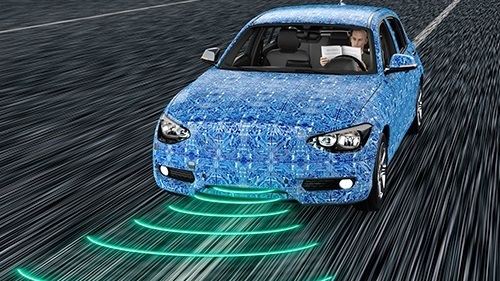 Software-based platforms, of which AI-based technologies are a part, tend to make every aspect of the connected car more essential and also more valuable.There are two key imperatives to get ahead of this inevitable disruption. The first is user-centered design, or UCD. UCD is an amalgamation of design and science with the goal of making products and services user-desirable, business-viable and technologically feasible. Factor in behaviors, preferences, context, goals and aspirations while defining the connected car strategy. Ask questions, build uses cases, personalize the experience. What is their “Job-To-be-Done?” What are their priorities? Are they doing five other things at the same time? How can the car help improve their lifestyle? The second is collaboration and co-creation. Whether it is be it incremental or breakthrough innovation, the concept of siloed genius dies hard. Although it is imperative for automakers to leverage their independent expertise and clout, isolated actions lead to a fragmented experience. Too many existing companies have evolved into silos of expertise. To succeed, leveraging partnerships and participating in ecosystems becomes crucial for automotive manufacturers, suppliers and service providers. The next few years will be an incredibly creative period. The cars we drive will change more than they have in the last century and become the true third place. — Mohan Krishnaraj is the global head of user experience at Harman, a Samsung company.